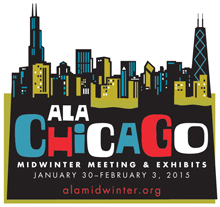 Blog 2015 - What’s Happening at the ALA Midwinter Meeting? At ProQuest, we’ve been busy preparing for the annual ALA Midwinter Meeting taking place in Chicago from January 30 – February 3, 2015. The theme for this year’s conference is “The conversation starts here,” and ProQuest has plenty to talk about! For the first time, ProQuest is hosting Poster Sessions in our booth and they are happening throughout the weekend. Make sure you stop by booth #2611 and visit with our product experts about our genealogy databases and social science and business content, then learn more about the launch of the new integrated ebook platform, and hear the interesting story of workflow solutions, and a day in the life using Intota. Click here for the full schedule. • In 2014, ProQuest digitized 12 million pages of historical documents, moving them from archive box to search box. To read the entire news release, click here. • ProQuest becomes the first publisher to partner in the Library of Congress’ Electronic Cataloging in Publication (ECIP) Cataloging Partnership and BIBCO Programs. Click here for the entire news release. • More than 35 libraries around the world have chosen ProQuest Intota™ for transformative library management capabilities and industry-leading user experience. Read the entire news release here. • More than 25,000 titles from ProQuest resource Early English Books Online (EEBO) are now available on the websites of the University of Michigan Library and the Bodleian Libraries at the University of Oxford. To read the entire news release, click here. Other conversations that we’re having at ALA Midwinter include a breakfast where we will update our customers about the exciting new features that we have planned for Intota in 2015, and how current library challenges are shaping the future of Intota to help transform the library. In another session, ProQuest will share our progress toward a new ebook platform that will fuse the EBL and ebrary platforms together. We are also hosting a breakfast with Polly Thistlethwaite, Chief Librarian from The Graduate Center, CUNY and Gary T. Johnson, President of the Chicago History Museum. 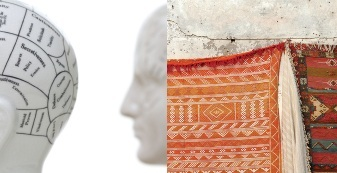 The two different institutions utilized digitization in unique ways, making content more accessible to their users, and they will present their recent projects with ProQuest. Additionally, our own James Phimister, Vice-President of ProQuest Information Solutions Strategy, is among several panelists participating in the ALCTS Publisher-Vendor-Library Relations (PVLR) Forum. This forum will explore relationships developed between vendor and client as well as vendor to vendor in order to enhance their position in the market place. During this timely conversation, James Phimister will discuss how the commercial development of discovery has fostered metadata sharing and how library and vendor objectives will increasingly be aligned to further content discovery. He will share the principles, rationale and criteria that ProQuest uses when approaching content and discovery partnerships. If you’re attending the ALA Midwinter Meeting, we’d love to have a conversation with you! Remember to stop by our booth (#2611), or join one of our poster sessions. We will see you in Chicago!